MTSU, Campus School celebrate ..
‘Saddle Up’ for family fun thi.. 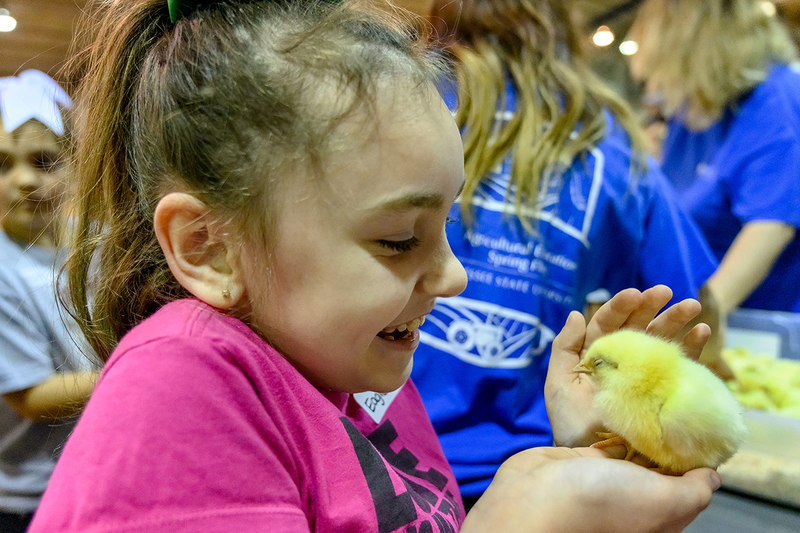 The new chicken exhibit area inside the MTSU Tennessee Livestock Center was a huge hit with elementary school youngsters Tuesday, April 16, at the MTSU Ag Education Spring Fling. You could call it “Chicken Row” on one side of the main arena. From incubation to newly hatched to fluffy baby chicks to grown fowl, the full life cycle of the farm animal was on display. 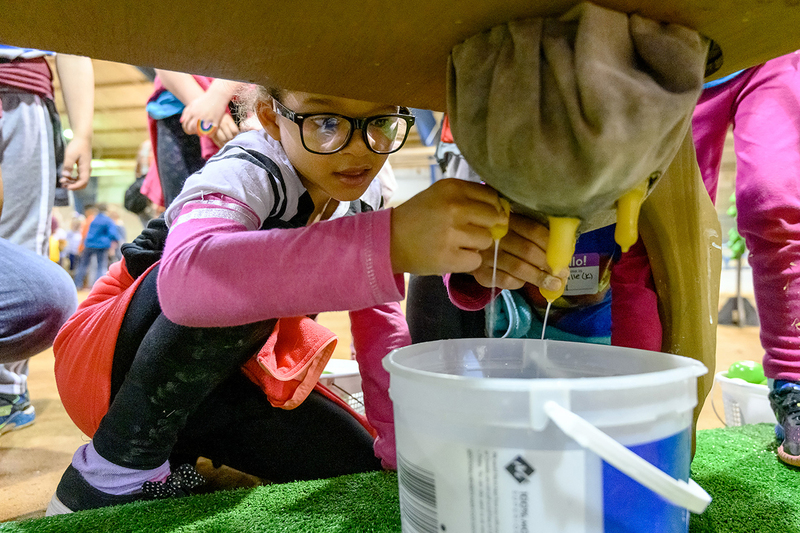 Nearly 900 children experienced the fifth annual agricultural field trip offered for area schools, where youngsters who’ve never been to a farm, like Leah Leavy of Murfreesboro, can experience nearly every aspect of farming under one roof. 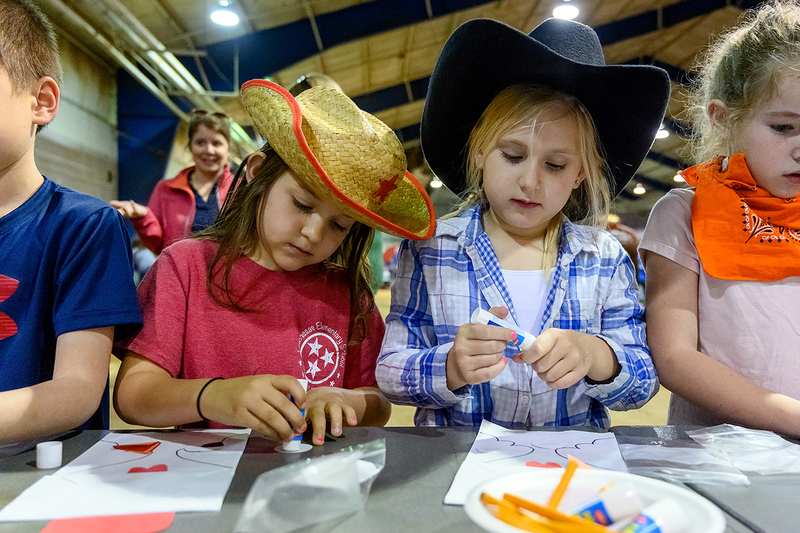 Children from elementary schools in Kittrell, Lascassas, Eagleville, La Vergne, the Dibrell community in Warren County, Cannon County’s Auburntown community and Campus School and Middle Tennessee Christian School participated this year. 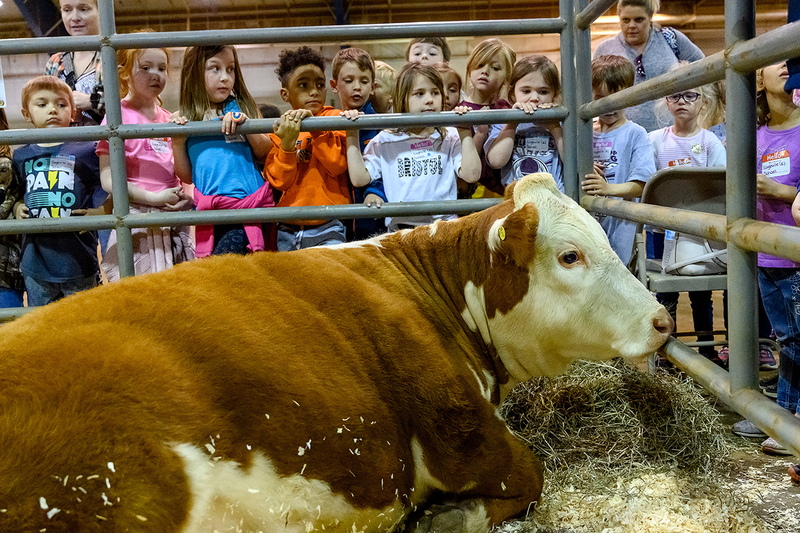 They were joined by teachers, parents and about 80 MTSU agritourism class members and agriculture students from MTSU and Smith and Cannon county high schools, who kept things hopping in the livestock center. Leavy, 6, a first-grader at Lascassas Elementary, said the event “was a lot of fun” and she enjoyed “everything.” Her father, Keith Leavy, pointed out her real favorites, though. “She loves the chicks,” he said before urging her to catch up with her classmates, who were heading to another area. Tractors, bees and honey, the “Little Acres” featuring a milkable replica of a cow, MTSU Creamery chocolate milk, and a popular new “corn pool” area with thousands of kernels of corn filling kiddie pools in the Barnyard Playground were among the numerous stops for the youngsters to enjoy. They could also watch “Cracker Jack,” a beef cow, relaxing on sawdust and munching on straw, and offer “Gus,” an 8-year-old horse, plenty of love and attention. MTSU instructor Alanna Vaught is the Agriculture Education Spring Fling coordinator, and her agritourism class also presents a special Christmas season farm event for children each December. To learn more about agritourism and the School of Agriculture, call 615-898-2523.